Click here to read th article (.PDF). Click here to read page 1 (.JPG). Click here to read page 2 (.JPG). Click here to read the article (.PDF). 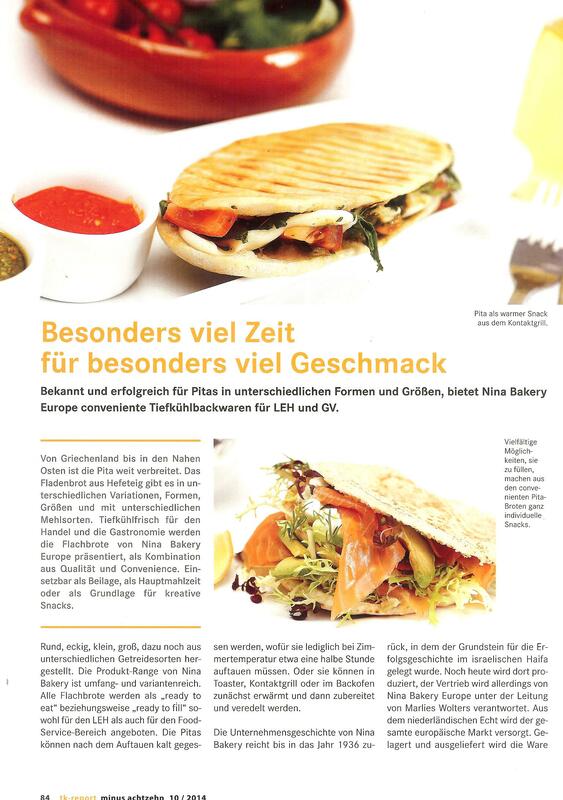 Nina Bakery exhibited at the Anuga fair 2013 with new ideas for filled pita’s in ultra fresh packaging. 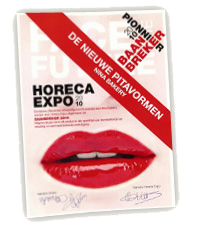 Autumn 2010, Nina Bakery's cocktail pita received a nomination for best innovation for Horeca Expo Gent in Belgium. 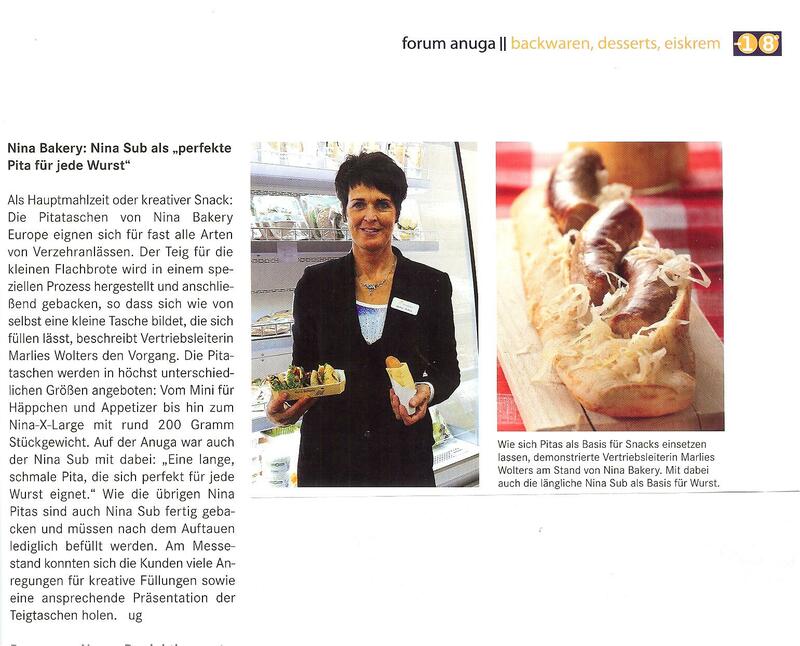 In January 2010, Nina Bakery was awarded the “Star of Maastricht” at the European Fine Food Fair 2010. Nina’s cocktail pita – the miniature pita for creative chefs serving snacks, appetizers or high tea – was voted the nicest product shown at the EFFF 2010. 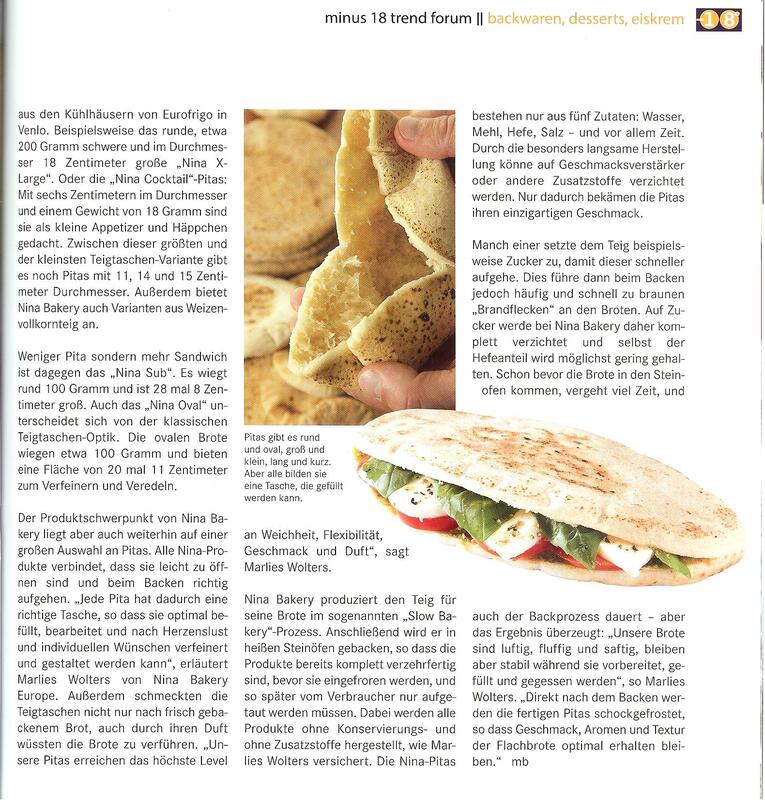 We invite you to see whether the judges were right: Take a look at our website and convince yourself of the unique benefits and extremely delicious pleasure of our high quality pita!